With those words Shania Twain has sent a Forsyth Barr Stadium packed with 18,000 fans into meltdown after hitting the stage on what could be her last ever live performance. High fiving the crowd from the stands to the beats of the Queen classic We Will Rock You, the Canadian Queen of Country jumped on the stage with a beaming smile and a glowing dress to the delight of her adoring fans. Opening with Life Is About To Get Good from her latest album Now before quickly giving the crowd a favourite in Come On Over from her classic album of the same name, Twain showed the crowd that tonight certainly was going to get good. The long southern daylight meant organisers arranged for the concert to start just after 9pm. In between numbers the Canadian pop star and former owner of Queenstown's Motatapu Station addressed the crowd and spoke of her love for New Zealand. Earlier in the evening, fans braved chilly conditions while they waited for Shania to hit the stage. A variety of brightly coloured outfits and plenty of cowboy hats and boots are filling the seats in anticipation of the show, the final stop on her worldwide Now Tour. Swiss singer Bastian Baker has been warming up the crowd with a variety of up-beat songs that already have the crowd cheering. Limited seats were available ahead of the show which has visited 16 different countries since May this year. The show is expected to be a special treat for Twain fans as not only is it the last gig of her tour, but it is expected to be her last ever show after she announced earlier this year the tour would be her final run on the road. Dunedin's Octagon was fairly quiet earlier this afternoon ahead of the concert, with most people staying inside and not venturing out into the rain. However a few groups of fans could be spied enjoying a quiet drink ahead of the performance at the Forsyth Barr Stadium, which begins at 7.30pm this evening. Biggie's Pizza worker Jordan Hulleman got dressed up in a checked shirt and cowboy hat in honour of the Shania Twain concert on Saturday along with Victoria Treymane. Ms Hulleman said Biggies', on Stuart St, had only had a few customers in town specifically for the concert. "But that's OK, we are still excited," she said. Her all-time favourite Shania Twain song was "Man I Feel Like A Woman". 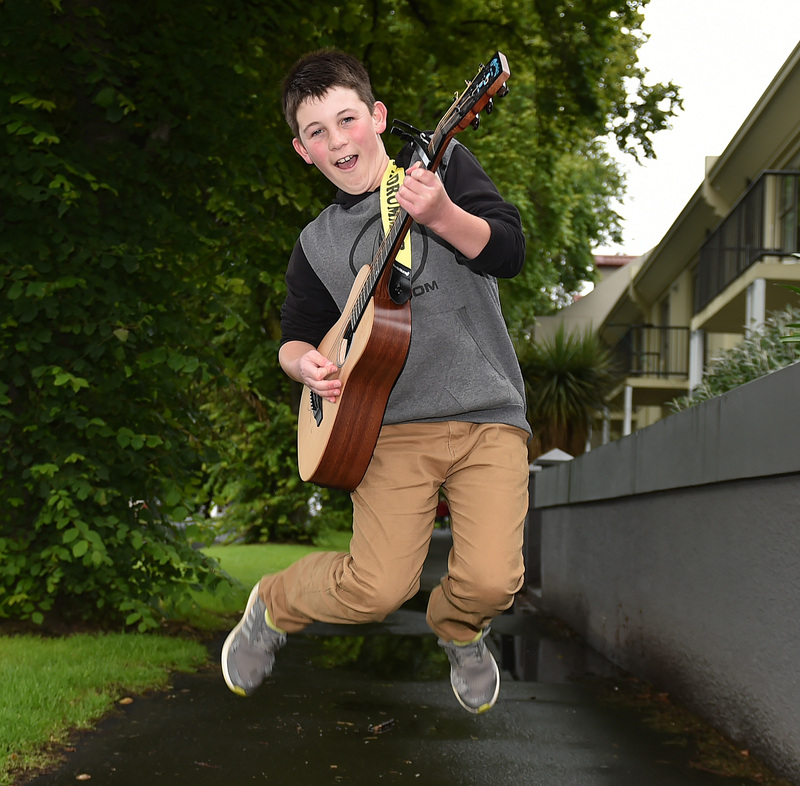 By about 5pm concertgoers were starting to head down towards the Stadium , and 13-year-old busker Rylan Urquhart played country tunes to entertain concertgoers as they headed along Anzac Ave.